How about this for a non-surgical face-lift facial: Red and blue LED light therapy combined with microcurrent energy, orbital dermabrasion, ultrasonic peeling, hydratone and CACI's unique Wrinkle Comb (a non surgical 'botox' alternative) ... these are just a few of the advanced technology techniques used by Zoe at the Ilkley Beauty Clinic with the brand new CACI Synergy system - favoured by celebrities such as Meghan Markle. 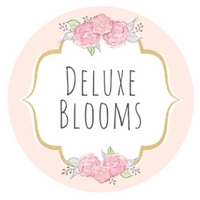 I have tried the classic version of this amazing machine previously at Ilkley Beauty Clinic and been astounded by the results (you can see my before and after photos of the facial here) so frankly, this sound of this new one, and all the extras it had to offer, had me more than a little bit excited!! How amazing does it look?! (You can win one of these facials for yourself by following the Rafflecopter giveaway at the end of this blog post). 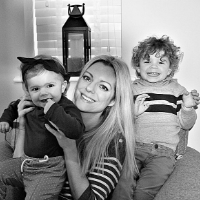 If you would like to read a little bit more about Zoe and the Ilkley Beauty Clinic, plus some insight into how how this facial actually 'feels', you can read my previous review of the CACI Party Facial in my original blog post. 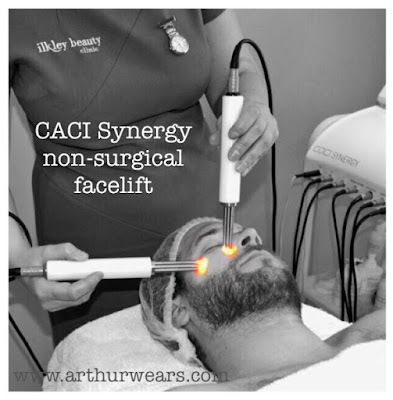 So what is the difference between the NEW CACI Synergy and the previous models? To put it simply, the CACI Synergy combines the microcurrent technology to stimulate muscle tone and enhance skin tissue with a new LED Light therapy using red and blue light. This dual technology working simultaneously provides more visible and longer lasting results whilst helping to stimulate tissue regeneration and the production of collagen. Alternating red and blue light is also particularly effective at treating skin conditions such as acne. Now to the fun part - how to win one of these treatments for yourself!!! I am giving away a CACI Synergy Facial at Ilkley Beauty Clinic to one lucky reader. You MUST be able to make your own travel arrangements to the clinic in order to have your treatment. To enter, click on the Rafflecopter link below and follow the instructions. There are a number of different ways to enter (such as commenting on a facebook post, tweeting a message, commenting on this post etc) and you can choose as many or as few as you like....remember, the more ways you enter, the more chances you will have of winning! Rafflecopter will randomly select a winner after the closing date (8th May 2017). I am local and would love to give this a go. It's my 40th this year and I'm noticing some crinkly bits around the ears! I am not a fan of surgery and would love to give this a go. I've never tried anything like this but with sun-damage wrinkles under my eyes and peri-menopause acne, I'd love to give it a go. Ooh I want this! Never tried anything like it before but I'm particularly interested in results on acne scars! ooo not seen anything like this before! What a great give away. With money being tight right now this would be a lovely 40th birthday treat! I am approaching a big birthday in June and although I look after my skin, I have noticed that mother nature is starting my skin descent and my skin is starting to sag and catch up with me even though in my head I feel only 21, my skin is telling me otherwise. I have always wanted to try a Caci treatment I have read so much about the different treatments and I am impressed with the technology that goes into these treatments and they all excite me and my skin! I'm just feeling invisible, and my skin looks dull and not as firm as it used to be. I'd really love to try one of these treatments to see whether it could help me. I live fairly near too.